According to U.S. National Health Department, in 2009, at least 78 million American adults were estimated to have prediabetes. Having prediabetes also means you are at risk for getting type 2 diabetes and heart disease. Having prediabetes means your blood glucose is higher than normal but not high enough to be diagnosed as diabetes (yet). I have a particular interest in diabetes because my Father and Mother both have diabetes as well as 2 of my closest Aunts. My father has heart disease and had a massive heart attack almost 20 years ago. (His life was never the same since then). As I grew up as a child our household foods changed. Instead of butter, we had polyunsaturated margarine. Instead of fruit juice we had water with a dash of fruit juice for taste. Instead of cooking fats, we used olive oil. We had lots of garlic! In fact an early nickname at one school was ‘garlic breath’, not an envious name I admit but spending 8 years as a child in the Mediterranean, I loved the taste of garlic – the nickname didn’t bother me, garlic tastes great and is fantastic for your body. My father was limited to 2 eggs per week to control cholesterol levels. Type 2 diabetes usually begins with insulin resistance, a condition linked to excess weight in which your body’s cells do not use insulin properly. As a result, your body needs more insulin to help glucose enter cells. At first, your pancreas keeps up with the added demand by producing more insulin. But in time, your pancreas loses its ability to produce enough insulin, and blood glucose levels rise. Over time, high blood glucose damages nerves and blood vessels, leading to problems such as heart disease, stroke, kidney disease, blindness, dental disease, and amputations. Other problems of diabetes may include increased risk of getting other diseases, loss of mobility with aging, depression, and pregnancy problems. Treatment includes taking diabetes medicines, making wise food choices, being physically active on a regular basis, controlling blood pressure and cholesterol, and for some, taking aspirin daily. To find out your risk for type 2 diabetes, check each item that applies to you. I am age 45 or older. I am overweight or obese. My family background is African American, Alaska Native, American Indian, Asian American, Hispanic/Latino, or Pacific Islander American. I gave birth to at least one baby weighing more than 9 pounds. I have a history of cardiovascular disease. The obvious and most common reason people want to lose weight is for ‘looks’. ‘Fatism’ or (Anti-Fat-Bias) is an unfortunate reality. Often and although I personally think it is both offensive and absurd, many people will look down upon those who are overweight and ‘pigeon hole’ them as ‘not as important’ or ‘unqualified’. Unfortunately it’s a fact that we do live in a society that perceives being overweight as result of being guilty of greed. Whereas we both know this simply isn’t the case. Its more common that a pre existing medical condition exists or that the home/work circumstances make controlling weight gain very difficult. How you feel about yourself and how you feel inside, I feel is extremely important. How you perceive and feel about yourself reflects on how you operate, how you achieve your goals and how you enjoy your life. If you ‘perceive’ you would feel better losing a little weight then that’s a good reason! Your general health is important. It’s the most important reason to control weight gain although have you noticed it’s at number three in my list. This is because often people will put their ‘feelings’ before their physical health. Feelings and emotions are linked with mental health – both physical and mental health are important but before you fix your physical health, your mental health needs to be in good shape. It’s unfortunate but ‘larger people’ often have less choices than ‘regular build’ people. You only need to look at the clothing store, public seating arrangements, sporting events and even ‘jobs’. Even if employers won’t admit it (because that would be seen as discrimination) larger people have less choices of career progress. For example, a larger person has less chance of being assigned to any physical job. And why don’t we see many ‘over weight’ doctors, dentists or medical workers? You might see the odd one or two, but in my experience the majority are not overweight. I’ve been overweight on several occasions. It’s just not as fun to be overweight. It impairs your ability to enjoy more of life and restricts your options. It’s much more enjoyable to be at an ideal body weight and more comfortable. When you are at a more controlled and ideal weight you tend to be more active, enjoy more energy and experience more fun things in life. If you have children, or close family who look up to you for direction, then you have a responsibility to encourage good health by example. Being overweight yourself makes it more difficult for others who look up to you to control their health also. It’s one good reason to be healthy yourself, and it’s another good reason to lead by example. It goes without saying, those who experience health problems need more medical help and medications cost money. Its cost effective for you (long term) to be healthy. You can make excuses or you can control weight gain and be healthier. 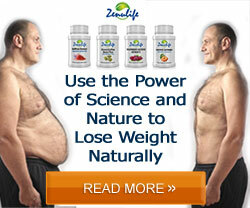 PS – the weight control supplement package is now available to help you maintain your ideal weight. Although using supplements alone won’t produce overnight miracles, they do help prevent, control and reduce weight gain when used correctly in conjunction with regular exercise and a controlled diet plan. PPS – When I say ‘exercise’ it doesn’t have to be difficult. Did you know that walking at a steady pace for just 45minutes each day will burn 3500 calories in 1 week. That’s equivalent of burning 1 pound of body fat per week. In 4 weeks that’s 4 pounds (or 1.5 kilos) just from a steady walk.